Does Your Bleacher System Measure Up? When designing and building your grandstand bleacher project, there are many decisions that go into creating the master plan. 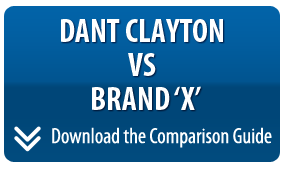 We have created a visual comparison of Dant Clayton, the brand Toadvine uses for all bleacher projects, and Brand X, a generic brand of bleacher seating. Here are just a few of the design and performance differences we came across in our comparison. When choosing the most secure way to construct your bleacher system, would you choose an interlocking deck or a welded deck? Interlocking deck systems frequently pose difficulties with structural separation and seat connection. Welded decking systems provide a structural double lock seat support connection and less potential for debris and trash to accumulate in open spaces and create a visually distressed looking seating system. It might not seem like a big deal initially to decide how your seating will be secured underneath, but our comparison shows the distinct difference between the two types of locking systems and the difficulties that can emerge when short cuts are taken and corners are cut on ensuring the safety of your bleachers. Our visual examples show you the distinct advantages of a tight structural connection and how they can effect decking stability. Having a few open channels in your decking and bleacher seating may seem routine, but our visual examples will show how open channels affect not only the overall stability of your system, but can also completely transform the look of your system when trash is not allowed to accumulate inside those open channels. For a closer look at how these features can affect your bleacher seating, click here to download our free offer and find out how Toadvine and Dant Clayton can help resolve any difficulties in your bleacher seating before they arise. At Toadvine, our focus is on building and maintaining quality products. Click here if you would like a quote on quality products for your next project.